Maybe last year you told yourself that you would come talk with us about how to straighten your smile. However, you didn’t. Now, you are looking at another new year and feeling upset because you really wanted an aligned grin in 2019. Perhaps you figure since orthodontics usually take about two to three years that you’re too late. Maybe you are feeling the sting of procrastination and wonder if it’s even worth it. Our Celina, TX team encourages you to think about the following fact: We offer Fastbraces, so we can likely put your concerns to rest and help you. Not sure what this means but you’re interested? Find out more! You might hear us mention Fastbraces and assume the name is probably just for advertising purposes. However, that’s not the case at all. This system of orthodontic improvement really is extremely fast! It’s safe, too, because it functions with the help of unique technology that rapidly shifts your teeth, while minimizing discomfort and preventing any type of damage. As for that time concern of yours, if you see us extremely soon, you may be able to have that straight smile you want for 2019: This treatment generally requires just six months to one year, instead of the two to three you were expecting! How about that? 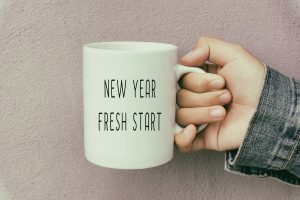 More good news about getting to achieve a straight smile in 2019? It’s not complicated. When you feel ready to talk with us about how to make your smile appear straight and beautiful in the new year, you just have to pick up your phone and call us. You don’t have to know whether you’re a good candidate for Fastbraces or how they work, etc. You simply need to set up a consultation to come see us, so we can tell you all about your options. Good news: Even if Fastbraces aren’t a perfect fit, we offer other solutions like ClearCorrect and veneers to help you achieve your goal of a lovely smile. Think you’d love to achieve a straighter smile in the new year? Come on in, so we may provide you with the care you require! Get the information and treatment you need in Celina, TX by contacting Celina Family Dentistry to schedule a visit today at (214) 851-0130.